EMERGE graduates present their Pitch. EMERGE Graduates celebrate completion of the flagship community leadership program in Geelong. Launch of EMERGE program - building leadership skills in volunteer management in the Geelong region. New CEO commences role at Volunteering Geelong. Year 10 students from China get a taste of volunteering in Geelong. Volunteering Geelong introduces Year 10 students from China to volunteering. Volunteer Ambassadors selected from across the region for National Volunteer Week. Volunteer Leader Breakfast hosted by Volunteering Geelong. Nominations are now open for the 2018 Premier's Volunteer Champions Awards! The Awards formally recognise, celebrate and thank volunteers for their extraordinary and selfless contributions to Victorian people, communities, culture and environment. Many organisations in your networks and communities rely on the invaluable support of volunteers, and we want to celebrate their volunteer champions! 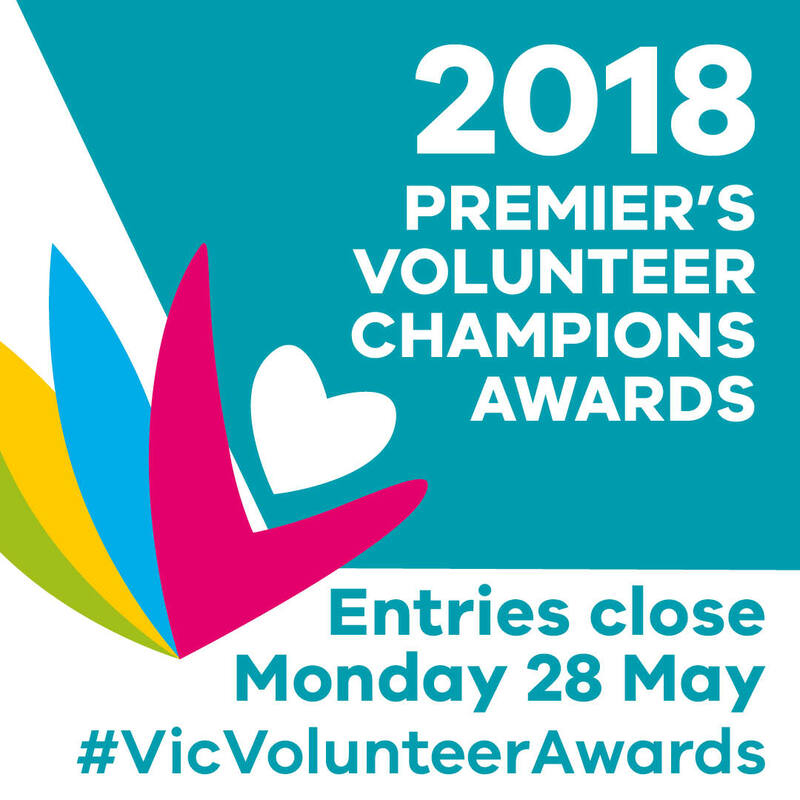 Please encourage your local community members and organisations to nominate the volunteers they know and to spread the word about the Premier’s Volunteer Champions Awards. Communications materials are available at the links below, including draft content for news articles, emails to your members and networks, social media posts, and logos for inclusion on websites and emails. Victorian-first community grants initiative, Pick My Project. Got any great ideas that need funding? Read more…..
Vines Road Opportunity Shop - If you can spare a few hours a week to assist this great venture read more. Also they are looking for a manager to look after the running of the store. Maintenance andTransport coordinator - This role would suit a volunteer who has people and organisational skills with a tradesman background. You will be in a leadership role working with and supporting your team who will pick up and deliver donations of general goods, additionally supervise provide support with general maintenance jobs. Some lifting involved with general maintenance. No Interest Loans (NILS) interview officer - Conduct effective sensitive interviews with clients for financial loans. Maintain effective knowledge of Geelong community and government agencies. Assist with interviewing potential clients (applying for food or clothing vouchers). Have you heard of the Ministerial Council for Volunteers? Read more. 10for10 is a partnership with the Federal Government run by Barwon Child, Youth & Family (BCYF) and Volunteering Geelong. Parks Victoria staff found a great way to spend RUOK Day - volunteering at Samaritan House.